On Sale Now! Free Shipping Included! 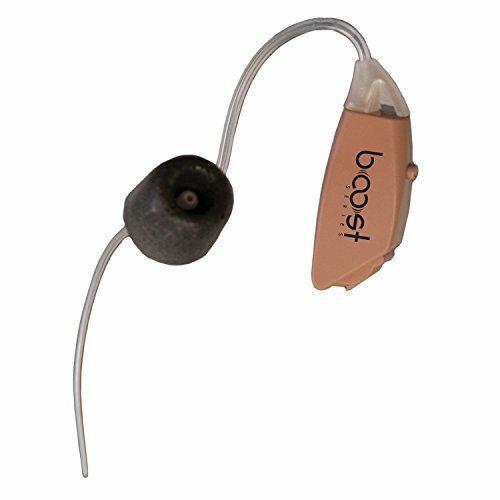 Save 4% on the Do All Outdoors EarShield 2 Channel Digital BTE Ear Plug, Flesh by Do-All Outdoors at Freedom from Government. MPN: ESD2BTE-F. Hurry! Limited time offer. Offer valid only while supplies last. Do All Outdoors EarShield 2 Channel Digital BTE-Behind The Ear Hearing Enhancer combines ease of use, small size, big power and a great price point! Do All Outdoors EarShield 2 Channel Digital BTE-Behind The Ear Hearing Enhancer combines ease of use, small size, big power and a great price point! With 2 digital channels delivering an amazing 40dB of gain, your hearing will increase 8X's, while using sound activated compression to protect from the harmful effects of muzzle blase. Features 100% digital processing n Sound activated compression for sounds above 85dB and no special fitting required. Battery life is 180hours.Two preset programs and fitted left and right thin sound tubes for superior fit and comfort.